Set in futuristic space, Halo sends the player into combat as the character known as Master Chief, a super soldier space Marine of few words. As the player navigates the universe of Halo, the epic plot unfolds. 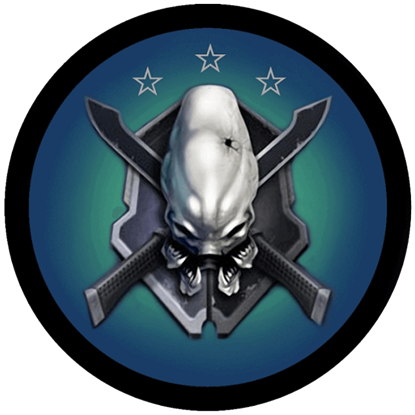 Master Chief must prevent the escape of the Flood, an alien parasite that would wipe out all sentient life on Earth. Here at Superheroes Direct, we offer a wide variety of Master Chief apparel featuring the heros likeness, including t-shirts, womens shirts, and hoodies. We also have shirts with the Spartan eagle crest and the Arbiter. Our Halo shields, made of smooth wood and painted in high quality colors, make perfect home decor or LARP defense pieces. Keep checking back at this section for more collectibles and apparel featuring Halo here at Superheroes Direct. 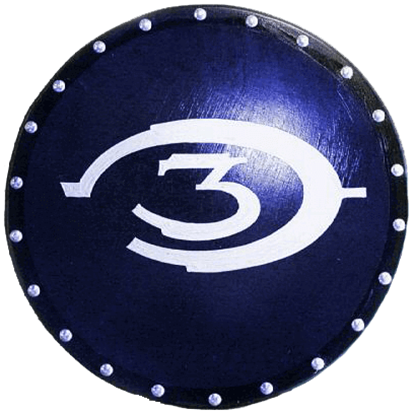 This great new shield promoting the recent XBOX 360 game HALO 3. The symbol has been painted in metallic silver paint and looks fantastic when the light hits it. Proudly display this item next to your TV or game console. The Wooden Halo Legendary Shield design is inspired by the popular HALO series of games. The wooden shield measures about 25 inches in diameter and has been hand-painted over an airbrushed blue green background.